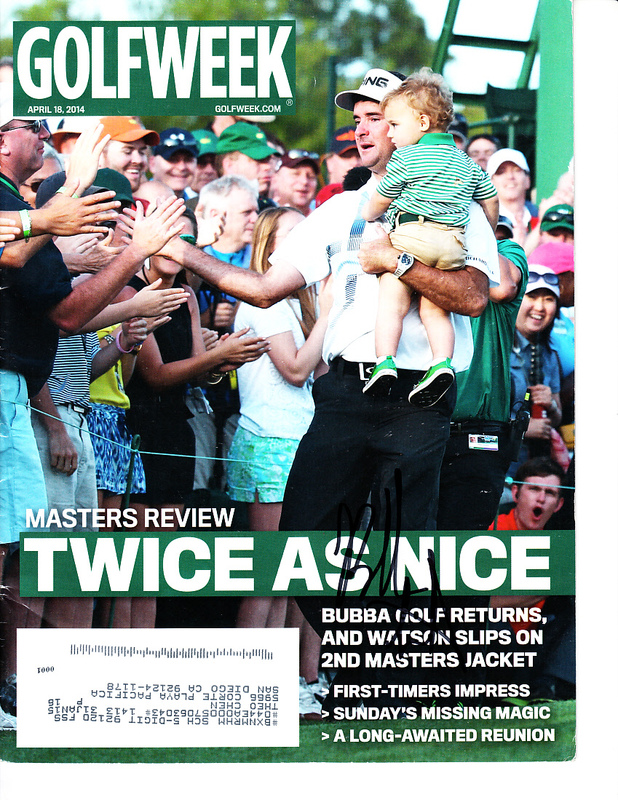 Complete 2014 Masters Golfweek magazine featuring winner Bubba Watson, autographed in black marker. Has very minor handling flaws and wear. ONLY ONE AVAILABLE FOR SALE. Obtained in person. With certificate of authenticity from AutographsForSale.com.